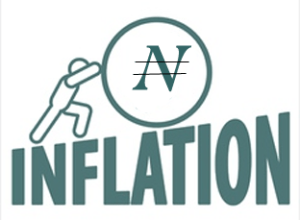 Nigeria’s inflation measured by the Consumer Price Index (CPI) in March dropped by 0.06 per cent points, lower than the rate recorded in the previous month. In its monthly report posted on its website, the National Bureau of Statistics (NBS), said the CPI, which measures inflation decreased to 11.25 per cent (year-on-year) in the month under review. The NBS said the new figure is 0.06 per cent points lesser than the 11.31% recorded in February. ‘‘However, increases were recorded in all Classification of Individual Consumption by Purpose (COICOP) divisions that yielded the Headline index. “On a month-on-month basis, the Headline Index increased by 0.79 per cent in March 2019, this was 0.06 per cent rate higher than the rate recorded in February 2019 (0.73) per cent.